Ironwood Investment Counsel takes a comprehensive, client-centric approach to investment and wealth management. We first endeavor to understand our clients’ overall financial picture through construction of a net worth summary so that objectives are defined in the context of all known assets and liabilities. We then consider our clients’ financial goals and objectives, short and long-term cash flow needs, income and estate tax landscape, as well as their return expectations. These client specific objectives and constraints are then validated through a cash flow scenario analysis. 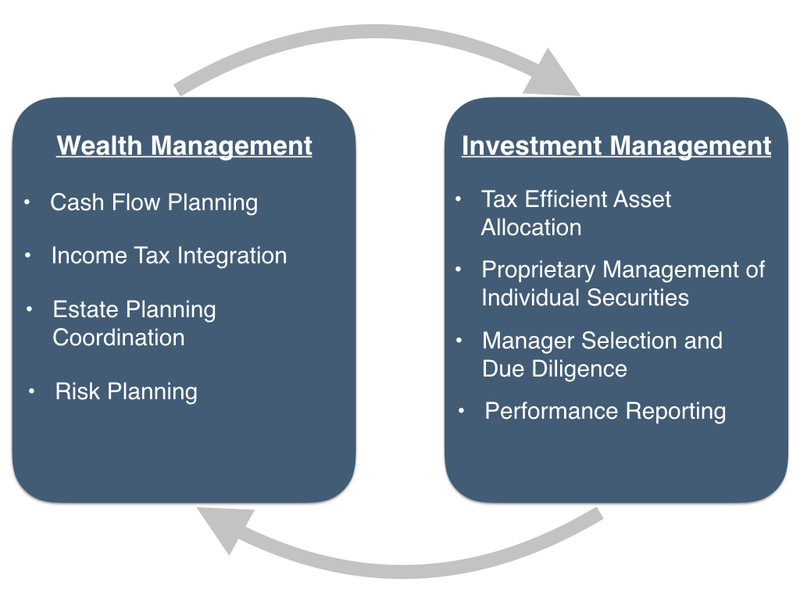 We develop, implement and manage a customized asset allocation using individual securities and active managers. Our clients’ specific goals and objectives, constraints, and expectations determine the level of equities, fixed income and alternatives. A primary goal of the portfolio management process is to meet our clients’ goals and objectives with the least amount of risk. The investment process is flexible and fluid to accommodate ever changing economic conditions while managing customized structures. We also match portfolio distributions and contributions to our clients’ investment structure via an asset-liability approach. In this regard, we immunize current and future cash flow need with income producing assets and allocate remaining assets to assets we expect to appreciate over time. On an ongoing basis, we coordinate investment, planning, and income and estate tax matters for our clients. We work with our clients’ other professional advisors to reach optimal outcomes aligned with client-specific goals and objectives. We monitor and measure portfolios to ensure our clients achieve their goals. The performance evaluation process is quantitative and qualitative. Reports are sent quarterly that measure absolute and relative results and meetings are scheduled two to four times annually to share important investment and wealth management updates.